Purchasing ornaments when traveling is a common activity, correct? When I stumble upon a Christmas shop, I tumble in and pick up at least one decoration to commemorate the trip. My favorite is a snow-capped cactus I found in Sedona. A major storm hit while I was there, knocking out the power at the Enchantment Resort. The area’s famous red rocks were transfigured by the snow and I appreciated the event; that is, after wrapping my head around the understanding that there’d be no hot coffee. Traveling specifically for ornaments is a niche peculiar to the Christmas season. Markets abound here in the States and abroad and browsing through one is an easy way to jump-start your holiday ho-ho-ho. 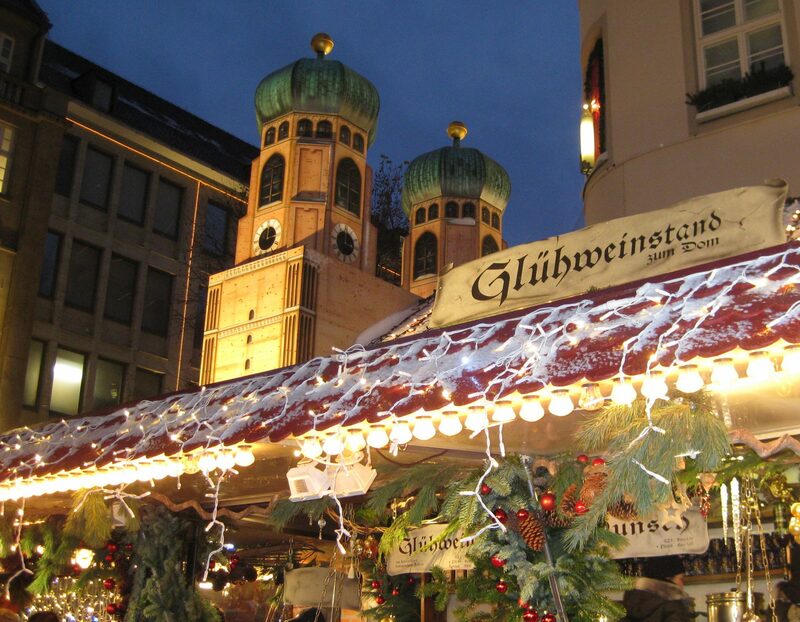 There are over 3,000 markets in Germany alone. Reuters published this list of the best throughout Europe. Bruges and Lille are high on my must-visits. And what fan of “Love Actually” doesn’t want to visit London in December? 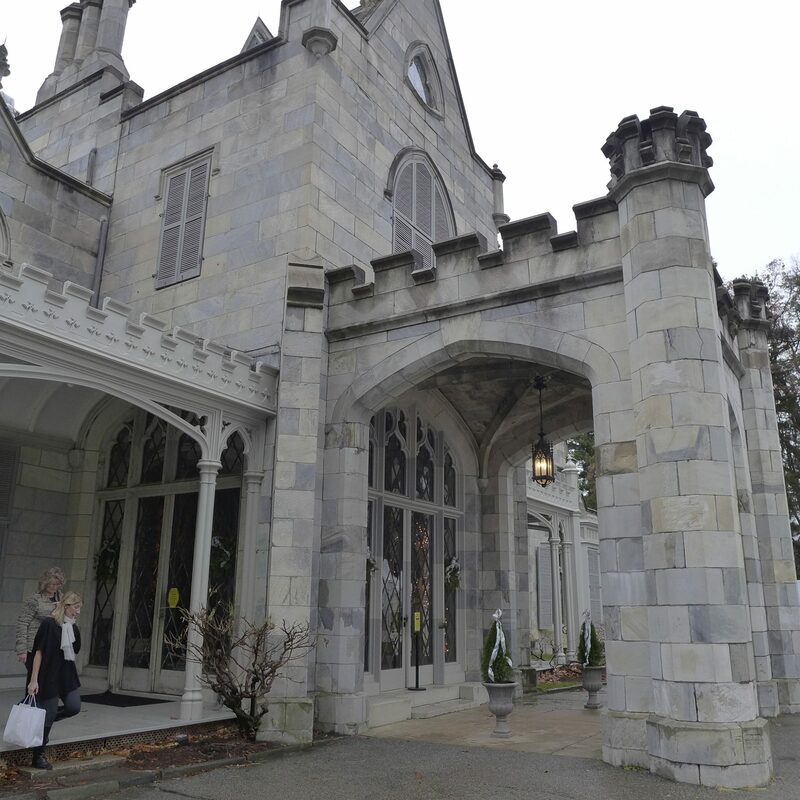 Locally, the Country Living Holiday Bazaar encamped at Lyndhurst Mansion in Tarrytown for a few days this month. 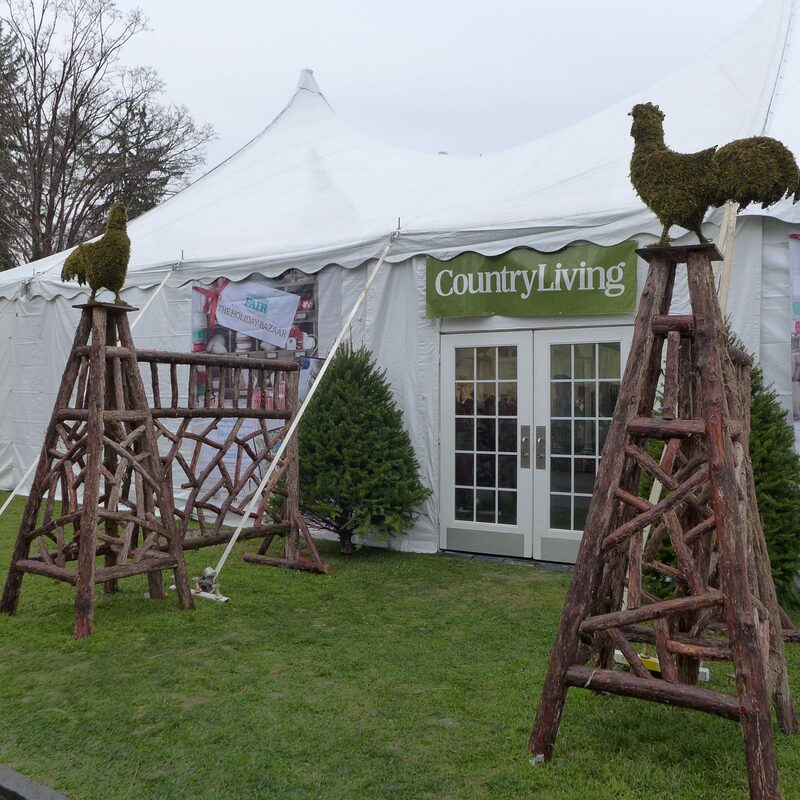 Approximately 100 vendors arranged their wares in heated (necessary) tents and outbuildings on the property. Newlyweds Josh and Dr. Brent were there with a variety of items from the Beekman 1802 Mercantile (if you haven’t eaten a grilled sandwich made with their Blaak artisanal cheese yet, you haven’t lived). My nose kept sniffing stalls until I found Jen O’Connor and Earth Angels Studio. The source of my olfactory delight? Room sprays created by artist Michelle Sylvia, one of the Earth Angels. A spritz of Plumberry Spice + Christmas Past = Aaaah! 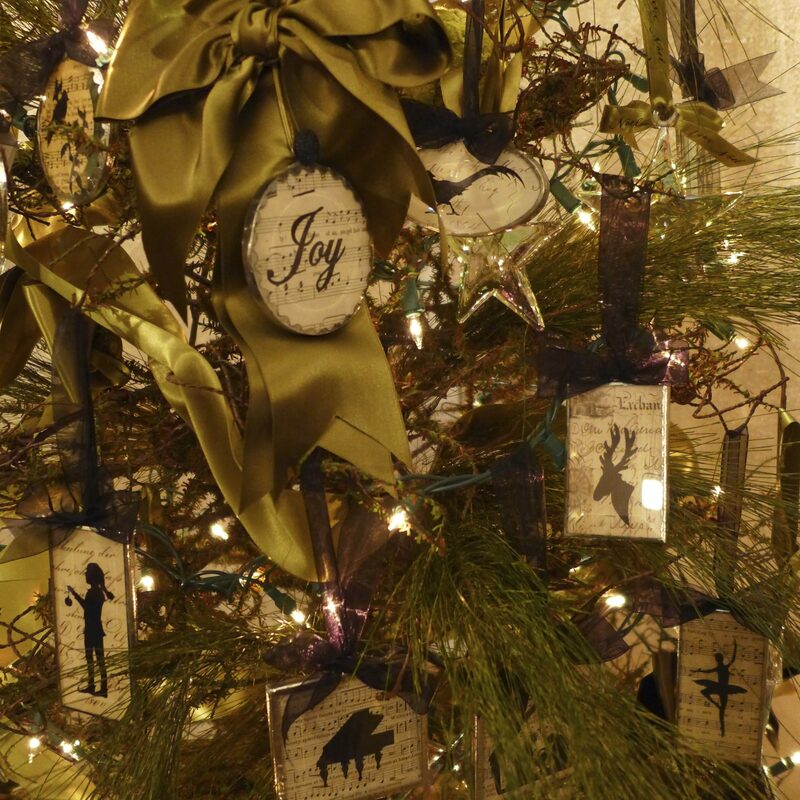 The ornaments I selected this year were lovely silhouettes sealed between glass, crafted by Jan Blough. They twinkled so brilliantly on the display trees, I couldn’t resist. Once my needs were met, I was able to concentrate on the acquisition of gifts. I was thrilled that the Hudson Valley Seed Library was in attendance. Seed packets featuring original artwork coupled with a bookmark were the perfect little something for my book group. Hudson Valley Seed Library packets feature original art. The gnome is the creation of artist Ulana Zahajkewycz. I could have stayed for hours and spent my son’s tuition. Other items I coveted were the seed sack bags from Selina Vaughan Studios, chalkware from Vaillancourt Folk Art (they use antique chocolate molds to produce Christmas figurines), and terrific textiles from Nine Streets NY. Even the smallest uniquity* from a craft market interests me more than a gift card. **Just looked it up – it is already – n. The quality or state of uniqueness. I like my definition better. Love the ornaments (and the seed gnome!) Please add Barcelona’s Boqueria and the smaller, giftier (hey that should be a word too!) Mercat de Santa Caterina i La Ribera to your must-shop list. Nothing says Christmas like sneaking artisanal air-dried pork back into the U.S.!! Like Lucy sneaking cheese through, disguised as a baby. Thanks – miss Barcelona! I’m so happy to hear that you share this travel habit!